1949 Rover Seventy-Five Ad - The new Rover Seventy-Five Progress in profile! 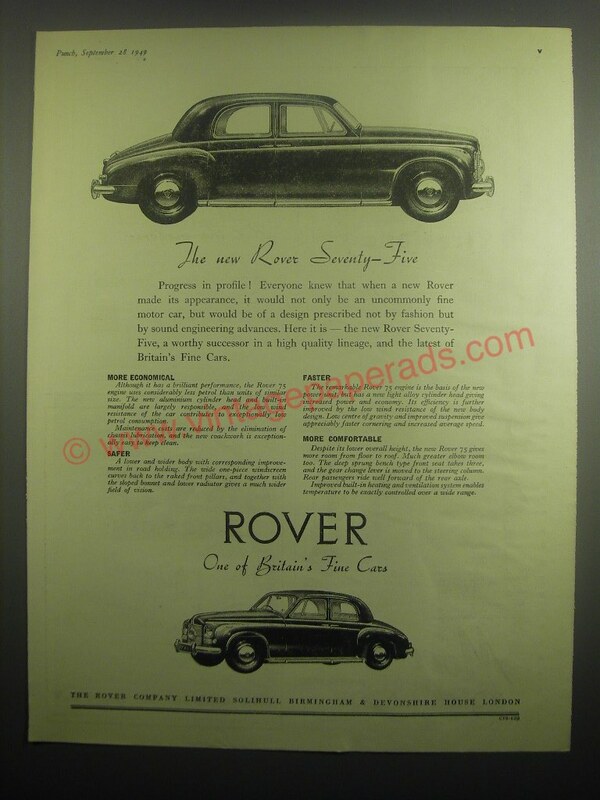 Vintage Paper Ads > Cars - Trucks > Rover > 1949 Rover Seventy-Five Ad - The new Rover Seventy-Five Progress in profile! This is a 1949 ad for a Rover Seventy-Five! The size of the ad is approximately 8.5x11inches. The caption for this ad is 'The new Rover Seventy-Five Progress in profile!' The ad is in great condition. This vintage ad would look great framed and displayed! Add it to your collection today! 1986 Rover 213 Car Ad - What Price Luxury?